Today is the 46th anniversary of the first episode of Doctor Who being broadcast on BBC television. To celebrate, I thought for today's linklog I'd bring together some of my favourite posts on currybetdotnet about the show. 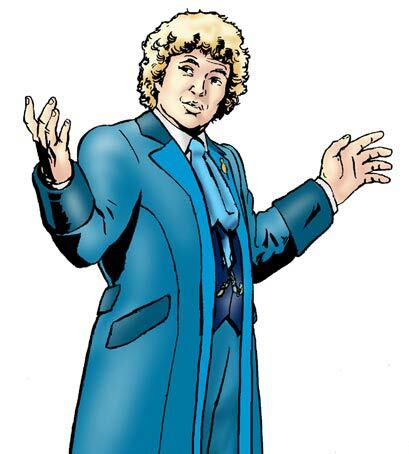 To start with, here is a post from 2004, before the relaunched show became such a success, talking about how the sadly departed BBC Cult site began making a series of webcasts featuring old and new incarnations of the Doctor in a cartoon format. "If there is one thing I've learned from many, many years of watching Doctor Who, it is that you can often get into places where strictly speaking you shouldn't be, just by boldly striding in as if you know exactly where you are going, whilst wearing an unfashionable jacket and a pre-occupied look. Which is how I found myself on Wednesday in a Q&A session with BBC Wales Head of Drama Julie Gardner discussing the multi-platform nature of the revived Doctor Who brand". "When I was at the #openbbc event at Broadcasting House last week, we nearly got through the whole evening without a single mention of Doctor Who. Just at the last moment, however, someone thankfully did. This rescued my record of not having been to single BBC meeting in the last 5 years-or-so that didn't use Doctor Who as the default BBC example of...well...lots of things". "In the 1960s, as Patrick Troughton's era drew to a close, Doctor Who faced The Space Pirates. By the 2000s it was Internet pirates who posed a threat to the Doctor's adventures. Audio drama producers Big Finish have found their officially licenced Doctor Who stories leaking onto peer-to-peer file-sharing networks. To help combat this, they've launched their own legal download service. I spoke to Paul Wilson from Big Finish about the 'battlefield' they face". 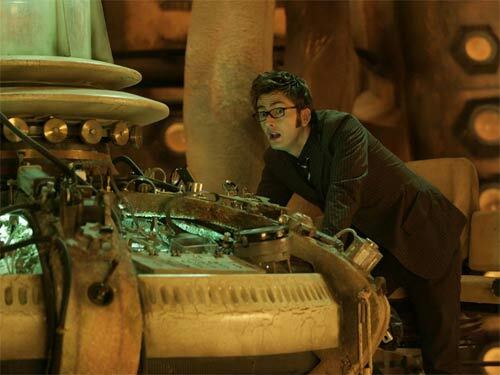 "The Doctor Who Cuttings Archive is dedicated to preserving all kinds of Doctor Who related media clippings online. 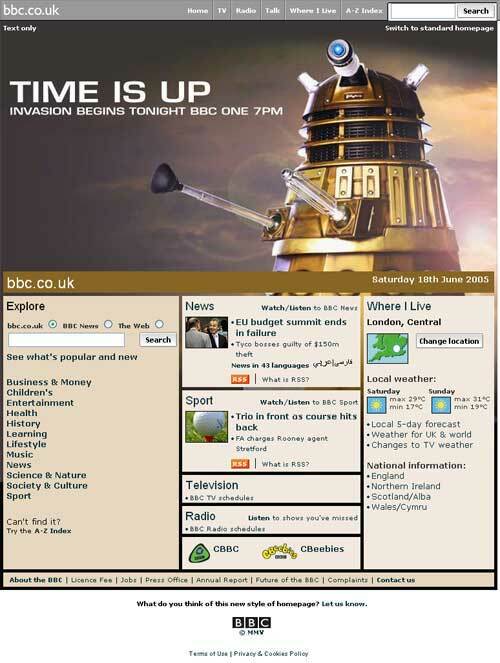 Last week they and the BBC branched into a new area by collaborating to present an article about the promotional coverage of Doctor Who on bbc.co.uk in the last year"
By Martin Belam on 23 November 2009.